Enjoy a flamenco show in the evening. 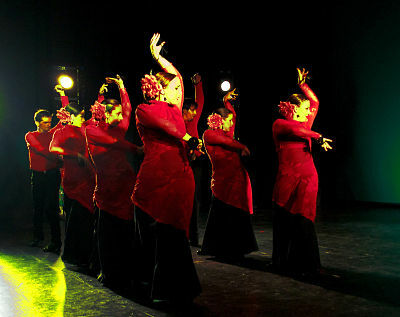 Experience flamenco art and the emotion of this typical Andalusian dance in a Tablao that is known for its quality of shows and professional dancers. Every ten minutes they are surprising you with a different aspect of the passionate dance of the South. With more than ten dancers on the stage, you can enjoy every minute of this show and in the meanwhile, drinks are served at your table.